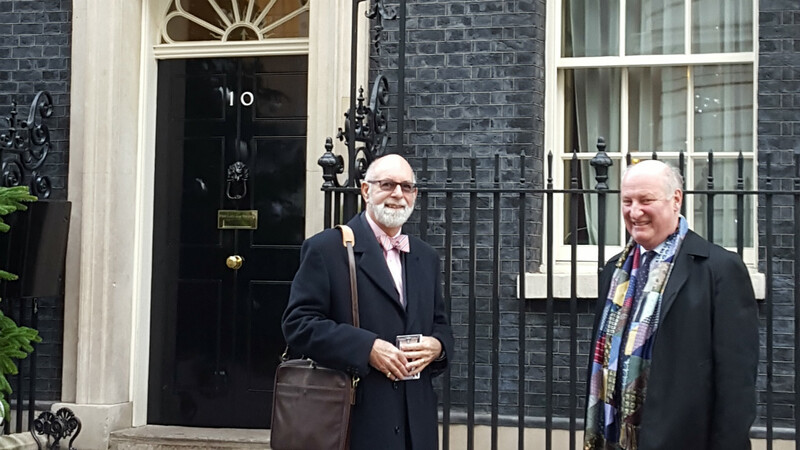 Today, we coordinated a high-level summit at Downing Street where Council Leaders were urged to become ‘champions’ of self and custom build housing. The Leaders who attended today’s Summit heard from a number of senior politicians including the Housing and Planning Minister Brandon Lewis MP and Richard Bacon MP, the chair of the All Party Parliamentary Group that encourages this form of housing. The presenter of Channel 4’s Grand Designs, Kevin McCloud, also addressed the Summit, together with Lord Gary Porter, the chair of the Local Government Association. Event Chair Richard Bacon MP welcomed invited guests before setting out the key messages; the need to boost housing supply. Mr Bacon declared that people want to build their own homes because it gives them the properties they can’t get from the standard builders, often more affordably. He claimed there is a huge demand; people who do it stay in communities much longer and contribute to cohesiveness – plus the homes are more innovative, and the sector supports local economies, small builders and jobs. The Housing and Planning Minster Brandon Lewis MP reinforced the Government’s commitment to double the number of custom and self build homes built in this country. He also briefly explained the various measures the Department for Communities and Local Government (DCLG) has taken to help meet this target; especially the Right to Build and the new Housing and Planning Bill. Local Government Association (LGA) Chair Lord Gary Porter announced the LGA’s growing support for custom and self build housing before introducing Barry Wood From Cherwell District Council (CDC) and Jeremy Christophers from Teignbridge District Council (TDC). Barry Wood explained the steps taken by CDC to help develop the custom and self build sector. Jeremy Christophers enforced Mr Wood’s words with more of the same on behalf of TDC – pointing out that much of TDC’s work has been done on a shoestring with no extra resources. Both stressed the importance of strong political backing for local initiatives, and the positive impact they’re getting from their electorates. A Q&A session took place with the Nationwide Building Society’s Andrew Baddeley-Chappell and Lloyds Bank’s Stephen Noakes – they fielded questions from the floor particularly related to finance. Then Event Chair Richard Bacon MP reminded leaders of their key role and encouraged them and their planning and housing teams to look at the newly-launched Custom & Self Build Toolkit.